The myDigitalOut adds four relay outputs to your myAVR board. 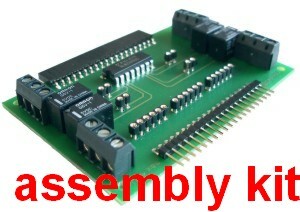 It can be used together with all variants of the myAVR board (LPT and USB). 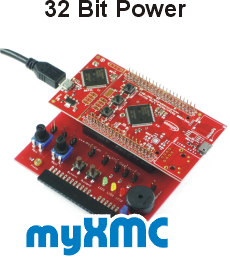 With the myDigitalOut Add-On it is possible to realize switching operations up to an switching capacity of 24W, that is for example 0.5A with 48V or 1A with 24V. This means, that the myDigitalOut Add-On is designed for experimental uses or for model construction. Always use an external power supply unit with this board. Never operate this Add-On with a voltage over 48V. 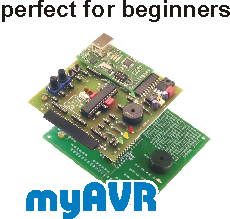 A myAVR board is required as a basis board.